Who is Dennis Mckinley and Porsha Williams? Dennis Mckinley, born on 25 July 1981 is a well-known American businessman and an entrepreneur from Detroit, Michigan. Information about his parents is not disclosed to the public yet. They have kept their personal life private for now. He is the owner of Detroit Equilites and the current CEO of QueenVirginRemy.com and reportedly runs 11 successful business in e-commerce, real estate, hospitality, leadership, retail, licensing and business & product development. He is also a successful entrepreneur who helps small start-ups build strong brands and increase their revenue. The 37-year old businessman has come into the limelight following the rumors about his relationship with the RHOA star Porsha Williams. Recently, the rumor has turned out to be true after Porsha announced their first child on their way. They are now engaged and have started a new chapter in their life. Porsha Williams, born on 22 June 1981 is an American television personality, model, and actress. She was born in Atlanta, Georgia, United States. Porsha came into prominence when she appeared on the fifth season of television series The Real Housewives of Atlanta in 2012. She was previously married to a football player Kordell Stewart in 2011. But their marriage did not last long that two years. They got divorced in 2013. Porsha also participated as a contestant on The New Celebrity Apprentice in 2016. Porsha is seen dating Dennis Mckinley early 2018. Porsha Williams has given a series of great news for her fans one after another. 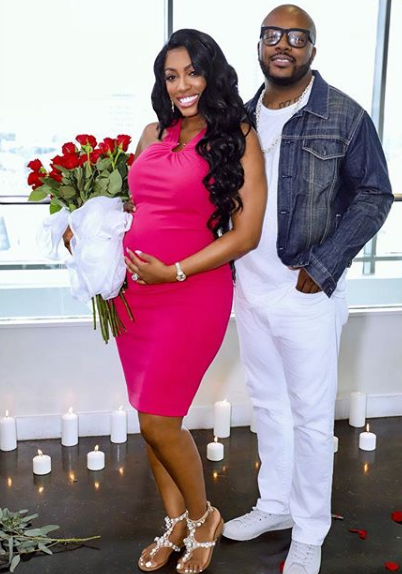 Two weeks earlier on September 19, the RHOA star, Porsha Williams announced via her Instagram that she is expecting her first child with her boyfriend, Dennis Mckinley, an Atlanta businessman. Not more than two weeks later, the 37-year old Porsha revealed her engagement with her boyfriend Dennis on Instagram. She felt no shy to display an enormous diamond ring on her finger through an Instagram picture. She told her fans: "Feed off of good energy or bad energy will feed on you!". Six years after Porsha suffered a miscarriage, it has become the happiest moments in Porsha's life. Dennis and Porsha were spotted holding hands while leaving the Leon Diamond jewelry store in New York City when a TMZ cameraman asked whether there was a wedding in her future. The "RHOA" star has reportedly been doing her best to keep her relationship with Dennis, who is an Atlanta businessman, under wraps. While she has not posted photos of her new beau, she has used the hashtag #DM on several Instagram posts and is following him on the mobile app.